“Revive to Survive” held its first major fundraiser on August 10, 2013 at the Houston City Club. Our Dinner Dance was a huge success, with many people joining us that night to come support our cause. Mayor of Houston Annise Parker joined us that evening as our Chief Guest, and shared her jubilation and thoughts about our cause. The people in attendance were further informed about the goals and progress of “Revive to Survive,” and were later on treated to dinner and live music. The Silent Auction was also a huge hit, seeing off many of the items we had placed for bidding. Altogether, the evening was a huge success, and a big step for our organization, as we were able to raise 30,000 in profits for the children at the National Cancer Care Institute. While this was a monumental achievement for us, we wouldn’t have been able to accomplish this without all the help and support we received from everyone involved in our project. We would like to thank all our sponsors and donors, as well as all the people who helped and participated with our event. We appreciate everything you have done for us to make our event a reality, and the children being benefitted will appreciate your help even more. So once again, thank you all for your support, and we hope you will join us again in the future to help the children in need. The event was a great success. Return air ticket to Sri Lanka - Courtesy of SriLankan Airlines. Return air ticket to Sri Lanka - Courtesy of Turkish Airlines. Four Houston Astros tickets (face value $175 each) and a parking pass, for Sunday September 15th vs Angels. Tickets are located in the Insperity Suite behind the home plate (food & wine included) - Courtesy of Bank of Texas. Golf Cap - Autographed by Tiger Woods, Phil Mickelson and Sergio Garcia. Cricket Ball - Autographed by Lasith Malinga. Cricket jersey - Autographed by Angelo Mathews. Cricket jersey - Autographed by Dinesh Chandimal. Cricket jersey - Autographed by Lasith Malinga. 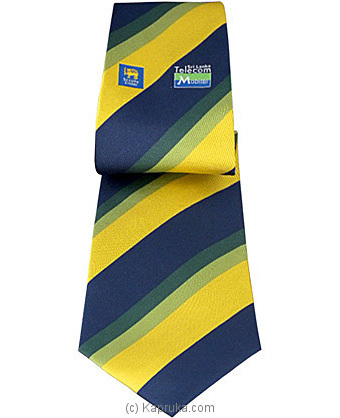 Sri Lanka Cricket Team Tie. Framed pictures - courtesy of Nuwan Samaranayake. "Affection" - Gold Honor Award, Bay Area Photography Club. "Delicate Arch" - framed canvas print (16"x20"). "Elephant Crossing" - Gold Honor Award, Bay Area Photography Club. "Eye to an Eye" - framed canvas print (16"x20"). "Houston Skyline" - Gold Honor Award, Bay Area Photography Club. "Sunrise in a Fall Morning " - framed canvas print (16"x20"). Puma Cricket Gilchrist Junior Cricket Set - courtesy of Desi Sports. Gray-Nicolls Lazer Plastic Cricket Set - courtesy of Desi Sports. Click here to see endorsements. Click here to view the Sponsorship Packet.